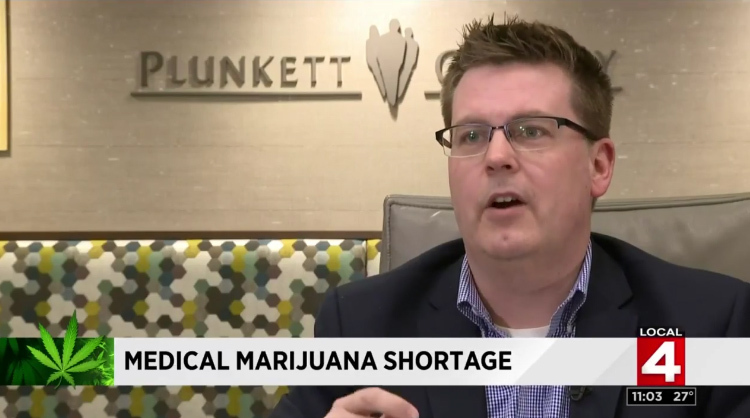 Attorney Jeffrey Schroder, who is a member of Plunkett Cooney's Cannabis Industry Group, talks with WDIV about a shortage of licensed cannabis growers in Michigan, which has led to a shortage of medical cannabis. A temporary operating period sanctioned by the state would help alleviate the supply shortage. Click here to see the full report.